A Virtual Private Network (VPN) allows you to browse the web without restrictions, protect your privacy and securely encrypt all of your internet traffic, and much more. And while the VPN industry is being populated by new and better players every day, the best provider offers a blend of both swiftness and anonymity for their clientele. SaferVPN’s ultra-fast speed and optimum privacy protection sets it apart from the rest, and for a limited time you can get a SaferVPN 2-Yr Premium Subscription for only $59.99 on TNW Deals. When using a VPN, you encrypt your data and connect to a server network in a distant location. It makes it appear as if you were browsing from that location, while also creating a tunnel for your data so it can’t be intercepted by third parties. 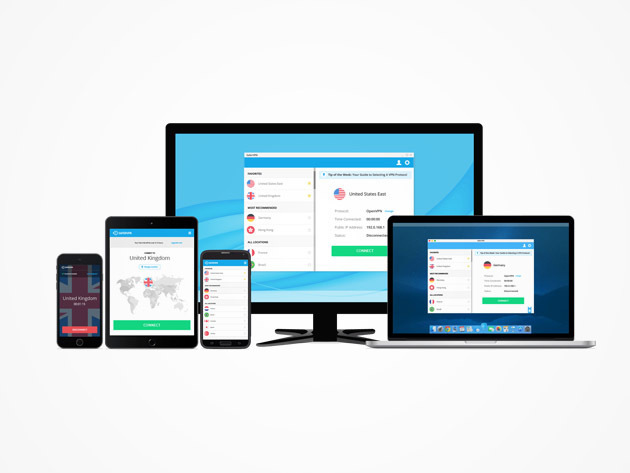 Initially used as a way for employees to safely access their office network remotely, SaferVPN makes the same benefits easily available to everyone on any device. The desire for security and anonymity is fast becoming a necessity for all – who doesn’t want protection from snoopers, hacking attacks, identity thieves and stockers like government agencies? “We know that a fast connection is absolutely paramount when choosing a VPN service,” explains SaferVPN CEO Amit Bareket, “so we have engineered our worldwide VPN network to guarantee the fastest connection possible. Our approach is unique in the VPN industry – we own, engineer and manage our VPN network – with a focus on reliability, high availability and speed. With access to over 150 servers in 24+ countries and 256-bit strong encryption to your connection to protect your data, the answer is simple: SaferVPN will keep your data and online habits secure from onlookers. Get a 2-Yr Premium Subscription today at 85 percent off, from TNW Deals.